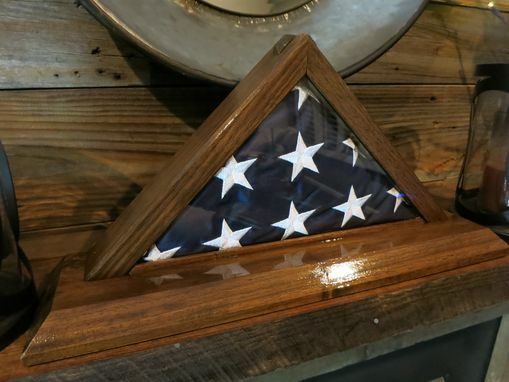 This is a flag box sized to hold a 3x5' U.S. flag in a standard triangle fold. 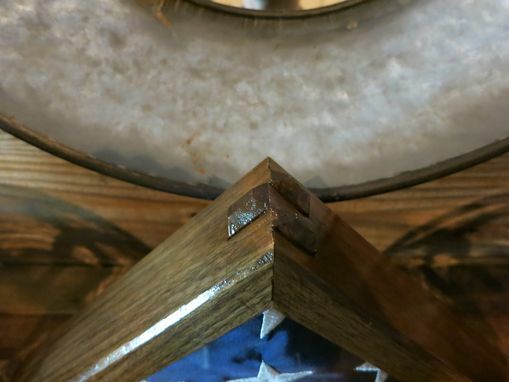 It is built fairly simply with the only detail being a combination miter/dovetail joint on the top corner to both hide the slots holding the glass and provide a high amount of structural strength. 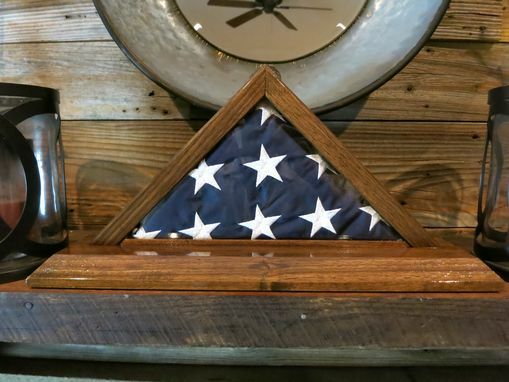 This particular model was built for an Air Force Veteran and, on a challenge, was constructed without the use of electricity. 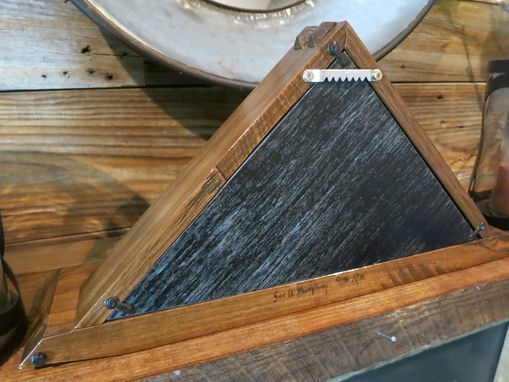 No exaggeration: A saw, chisel and hand plane made this from a single board. It is a massive time commitment but provides an extra-personal touch.